There’s no doubt the holiday season is upon us. As I’m posting this article I’m only a couple of days away from posting links to some amazing “Black Friday” sales and deals, then a few days later it’ll be “Cyber Monday” and there’ll be even more! But before I post any of those, I wanted to draw your attention to a group that’s using woodworking to make a difference in the lives of so many, especially during a time when we’re coming together with family and friends to celebrate all we have to be thankful for throughout the year. The folks at Bowls for Good are dedicated to ending hunger through community service and year-round giving. As part of their commitment to carrying out a positive change in our communities Bowls for Good has come up with a creative solution to help end hunger one bowl at a time. 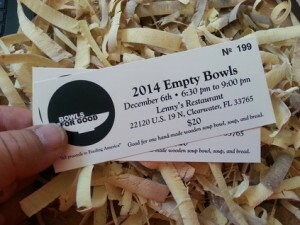 Bowls for Good raises money to help feed those in need by auctioning off turned wooden bowls made by volunteers at turning events planned over the year. 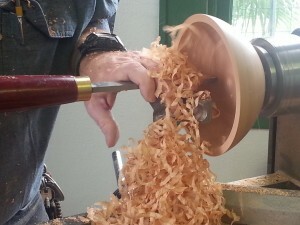 Participants don’t even need to have a woodturning background to get involved, Bowls for Good offers basic skill-building courses. Beginners are taught how to create stunning wooden bowls that are then later displayed and auctioned during their biannual fundraising events. All proceeds from fundraising events are then used to support successful hunger relief efforts, with their principal beneficiary being Feeding America. For more information, to get involved by either turning a bowl, or participating in the fundraising auction visit the Bowls for Good website by clicking here. Out With The Scary and In With The Awwww! This is awesome, didn’t know about these guys. I think I’ll chop up some sycamore and turn a bowl or two this weekend. Thanks for the info Matt, happy Thanksgiving!